Introducing Quantum. 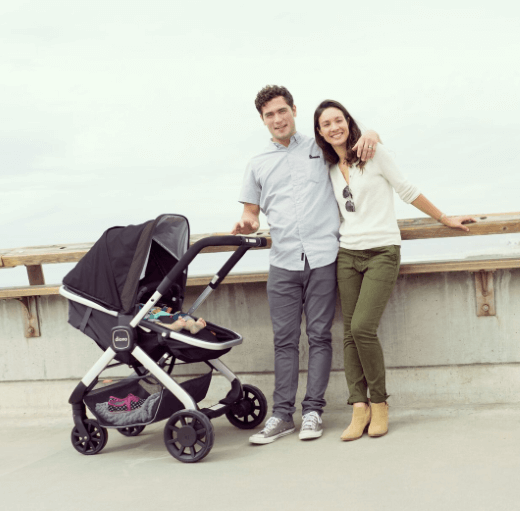 Innovative, multi-mode travel stroller. Inspired by parents. 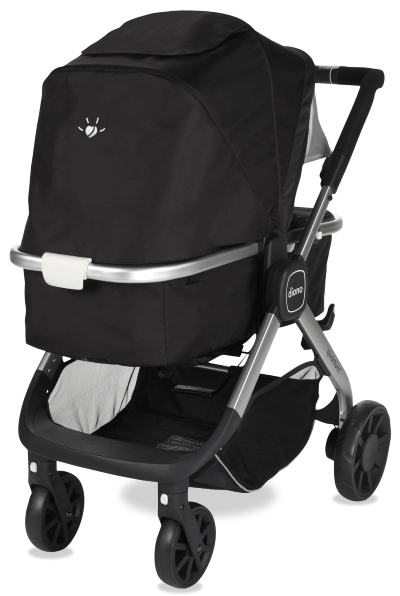 Engineered to provide everyday magic. 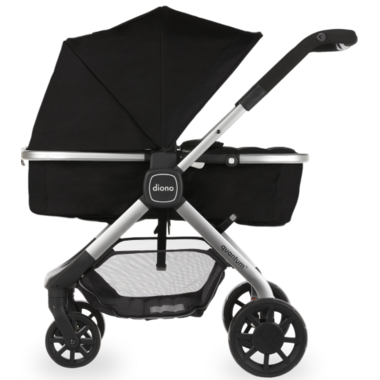 And designed to keep baby traveling in comfort & style. (1) Everyday magic: Say goodbye to storage headaches. 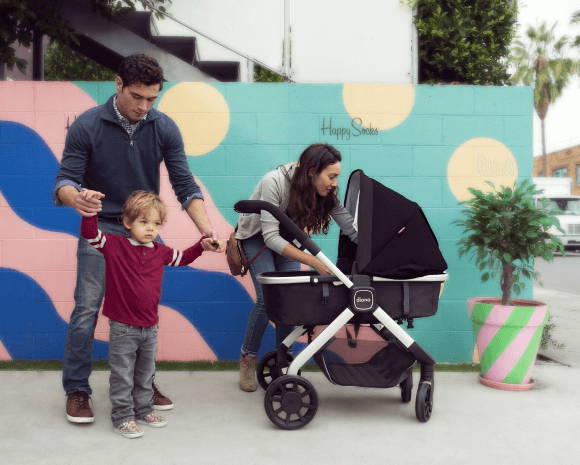 Diono's all-in-one smart seat converts from carriage to toddler seat in just a few simple steps. 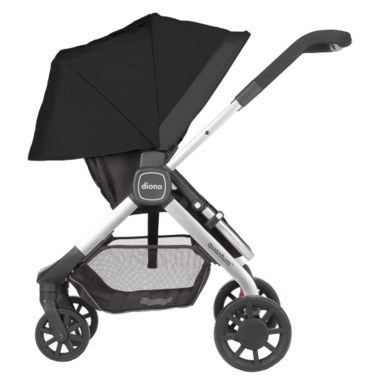 The eclipse canopy provides full sun coverage and the XL shopping basket holds the myriad of ‘stuff’ that parents regularly haul around. (2) Luxury at your fingertips: Coordinated touch-points make adjustments easy. 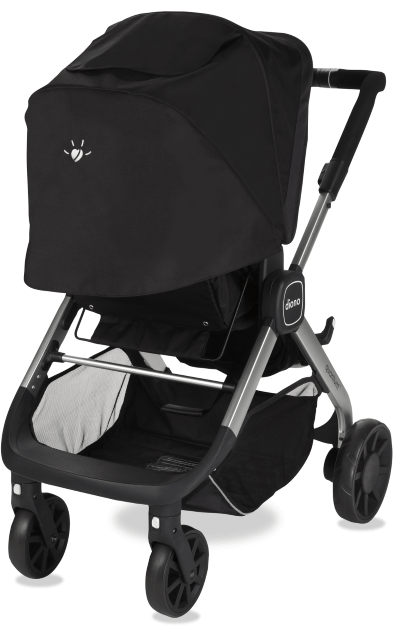 Identifying the buttons you might need to fold the stroller, recline the seat or extend the handle is a snap. 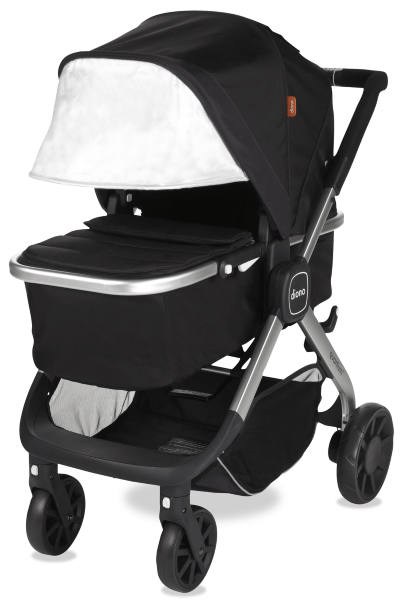 (3) Travel system compatibility: Quickly reverse from parent to world-facing in carriage or toddler mode. 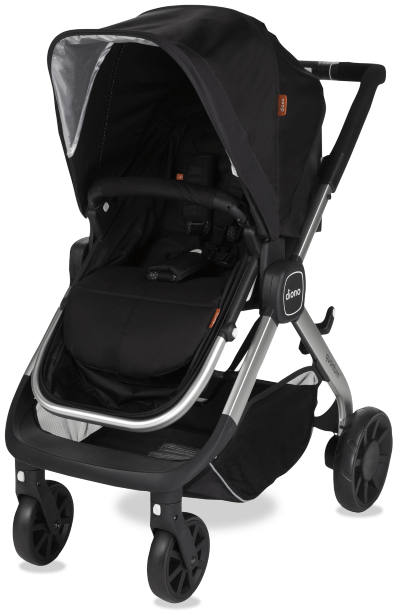 Adapters will be available for leading infant car seats to create a complete travel system. Infant car seat adaptors are sold separately. 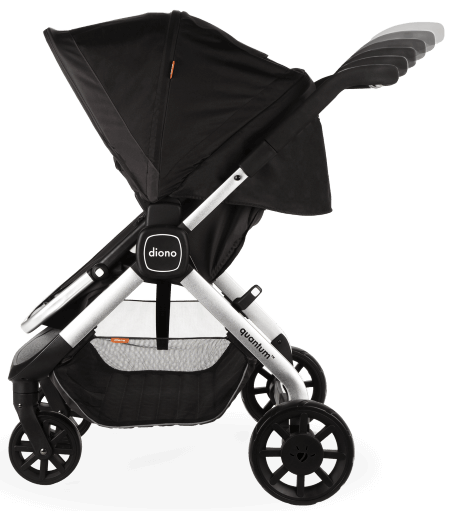 Turn quantum into a complete travel system with your favourite infant car seat.